Imagine large-scale employment for artists working in the public service. It's happened before and it could happen again! In past times of high unemployment and economic stress, the public sector has stepped in to create opportunity and prosperity, balancing the excesses and gaps of the private marketplace. In the 1930s, the biggest publicly funded project to put people back to work in the Great Depression was Federal One of the Works Progress Administration (WPA), comprising five projects to employ artists for the public good. In the 1970s, the Comprehensive Employment and Training Act (CETA) spent about $200 million employing artists as muralist, theater makers, creative organizers, and more. What can we learn from the past that will help us call a new Culture Corps into being now? What might a 21st century Culture Corps look like? 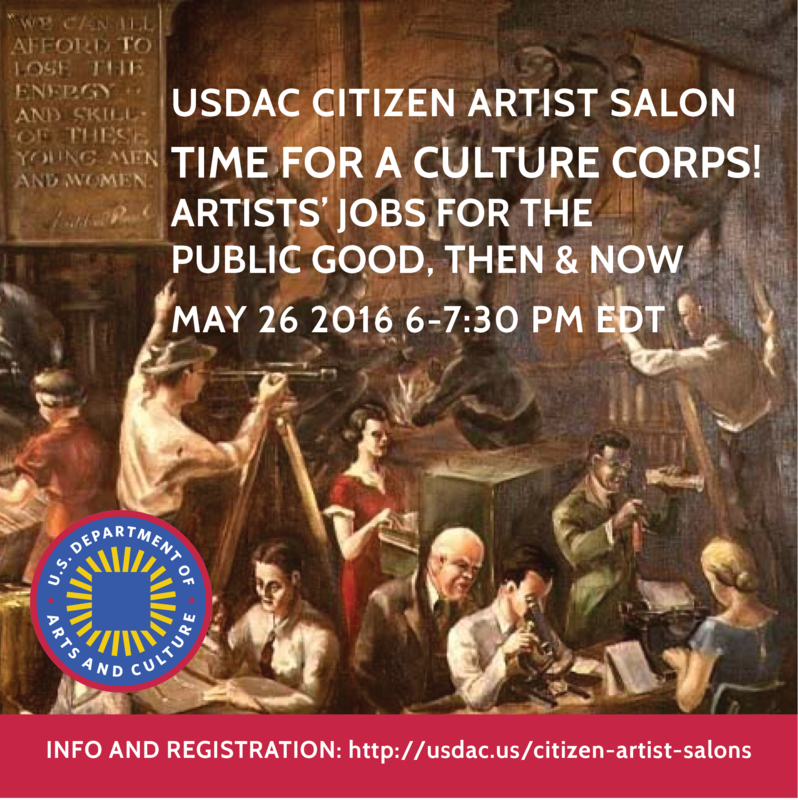 What can we learn from people who are experimenting with both public and private arts job creation today? Three presenters with knowledge and experience to share will lead an interactive discussion that just might send out sparks.